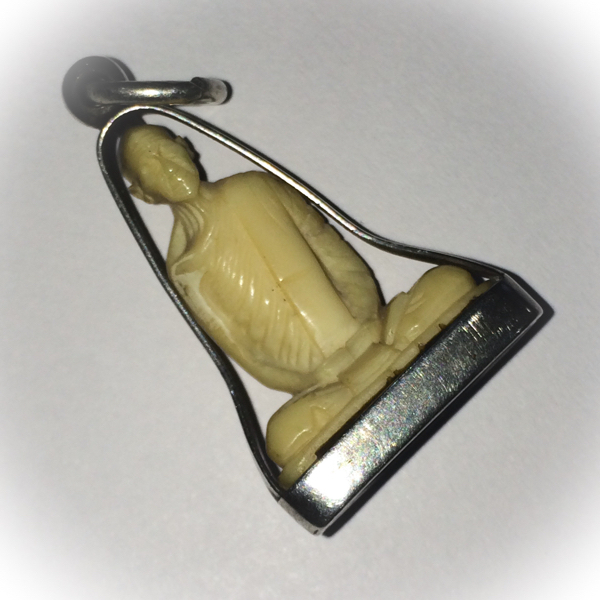 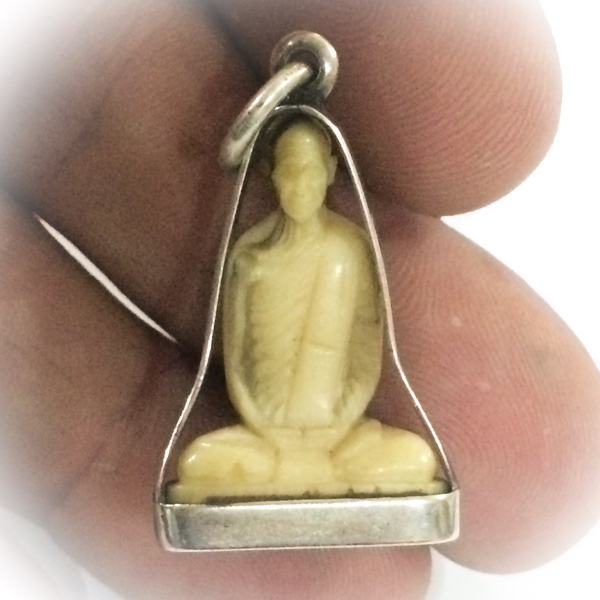 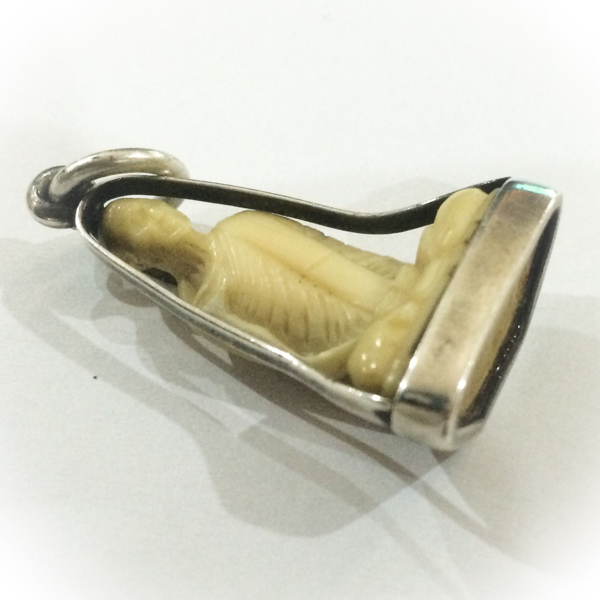 Roop Lor Loi Ongk Luang Por Derm Wat Nong Luang - Nuea Nga Gae (Hand Carved Ivory) - Liam Ngern Boran (Old Style Silver Open Frame Pendant) - Extreme Rarity Collectors Class Fine Buddhist Miniature Art, Blessed by the Master of Wat Nong Luang. 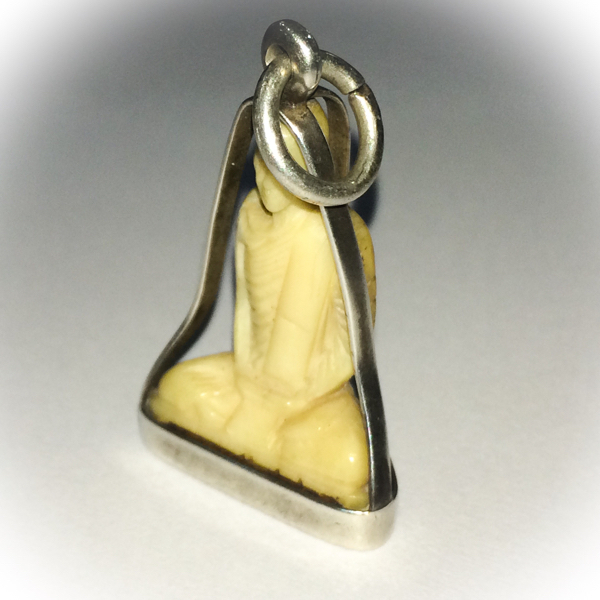 This Individual masterpiece, is a Hand Carved Ivory Loi Ongk Statuette of Luang Por Derm, most lovingly and exquisitely carved as a Pim A Thaan Dtia model of the 2482 BE Master-Class Brazen Metal First Edition Luang Por Derm Amulet . 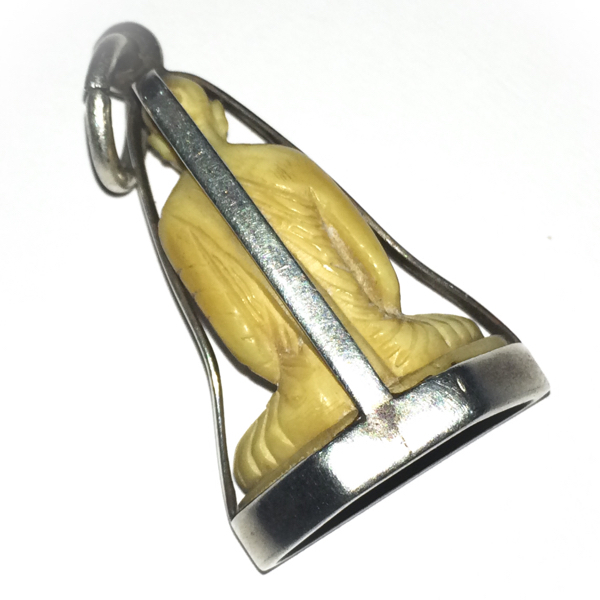 The amulet was made before the Ivory laws came into force, and is hence an antique. 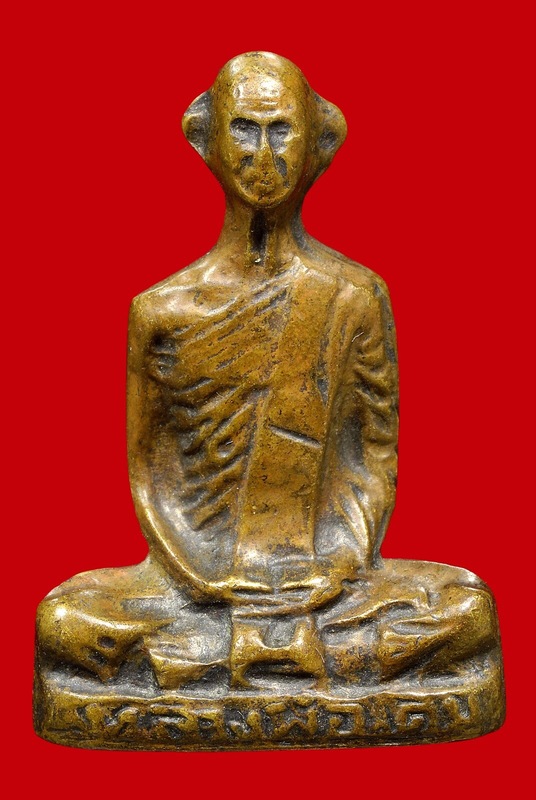 It was carved identical to the 'Roop Lor Luang Por Derm' of 2482 BE - fashioned as a Pim A (Block Press #A) 'Thaan Dtia' (shallow dais). 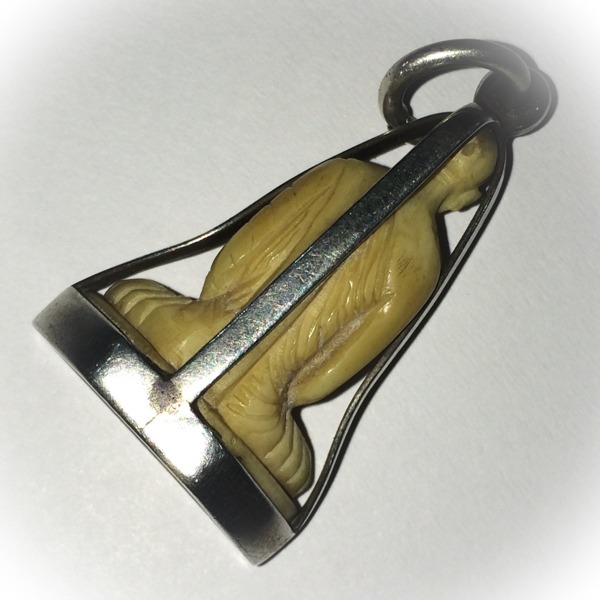 You can Have Free Solid Gold Casing if Wished with this Amulet. 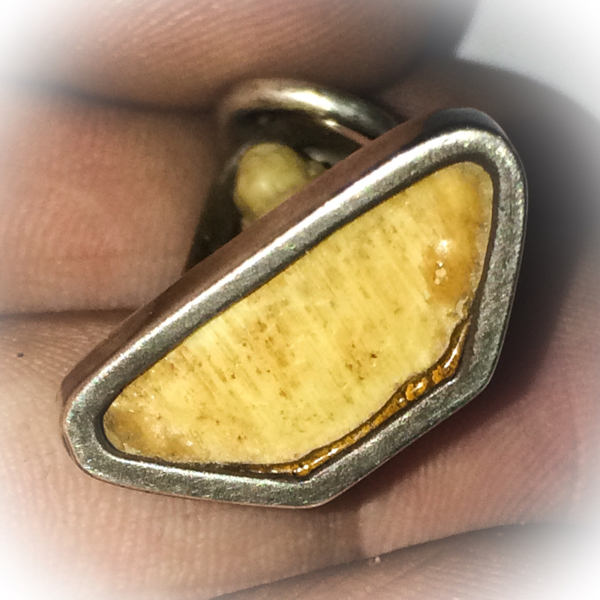 We will remove the amulet and have it carefully recased in Solid Gold if you wish, at no extra cost. 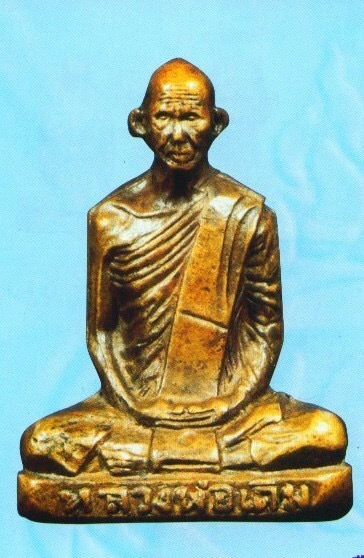 This was the first edition Roop Lor Loi Ongk Monk Image made of Luang Por Derm. 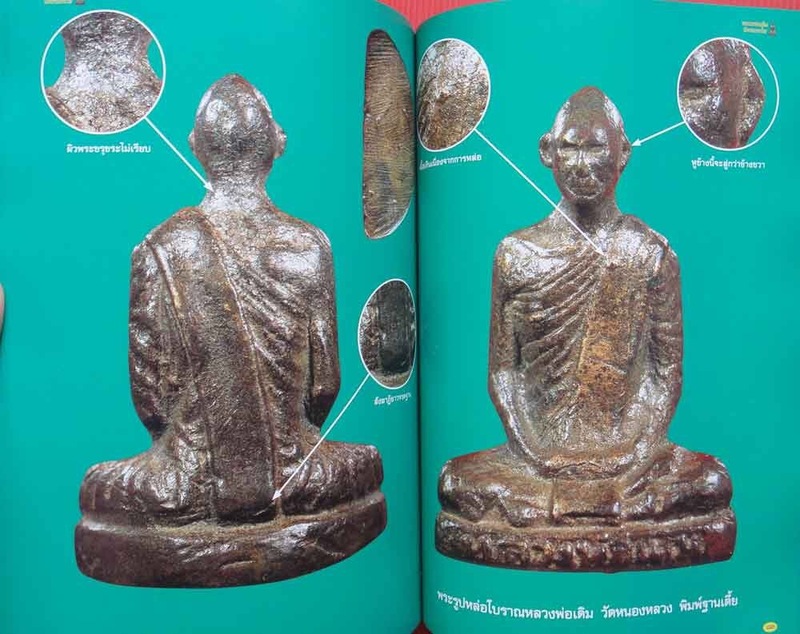 Released at Wat Nong Luang, the first edition amulet is the most famous of all from Luang PorDerm, and some examples can fetch extremely exorbitant prices in the collector circles of 'Nak Niyom Pra Krueang Luang Por Derm'. 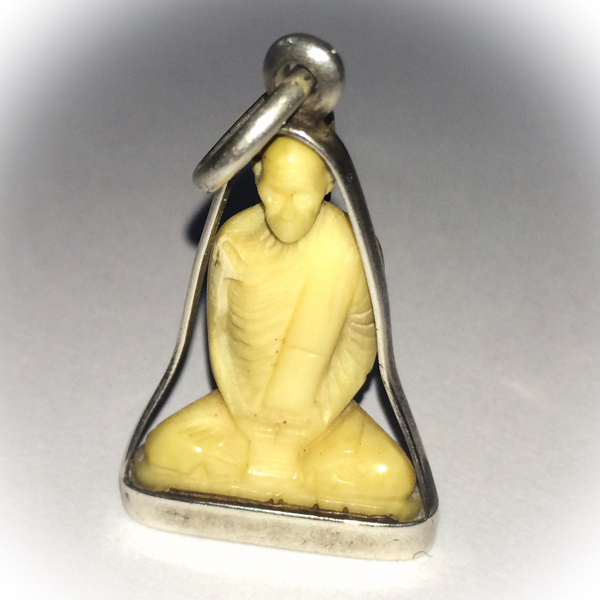 The first edition amulet, had no official catalogue or booklet ever made, except the mouth to ear transmission from the times when Luang Por Derm walked the forests on Tudong, and distributed his hand made amulets exclusively to his devotees, with personal Blessings and Empowerments. 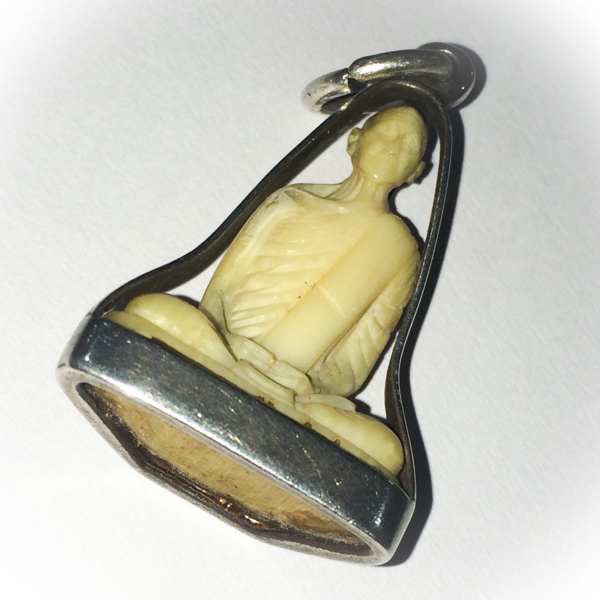 This amulet was most certainly carved specifically for the first edition release as a special memorial and given to Luang Por Derm for Empowerment. 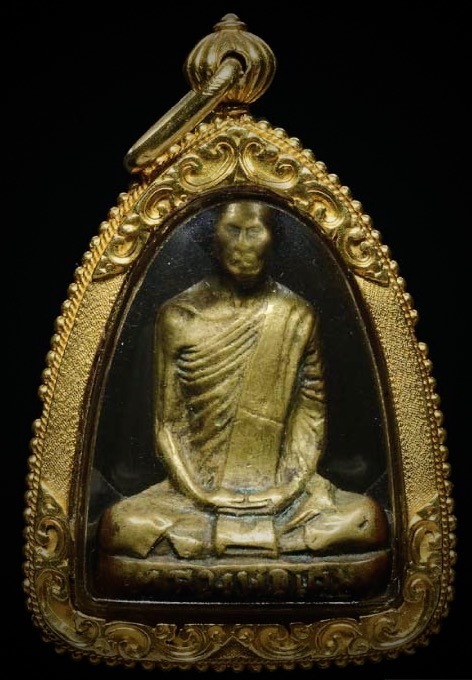 This most finely carved and precise likeness of Luang Por Derm, possesses all the 'Dtamni' (points of authentication) seen to be present in the first edition Pim A Thaan Dtia Preferred Model (Niyom). 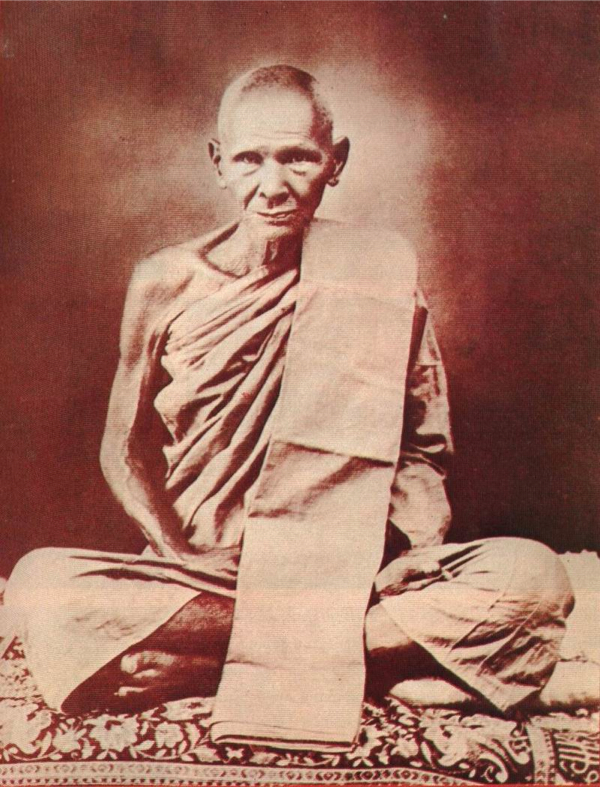 The collar bone and the dimple in the muscel above the bicep of Luang Por Derm's arm is precisely aligned with the Pim A amulet, as are all the folds and creases of the robes, and the markings visible on the dais. 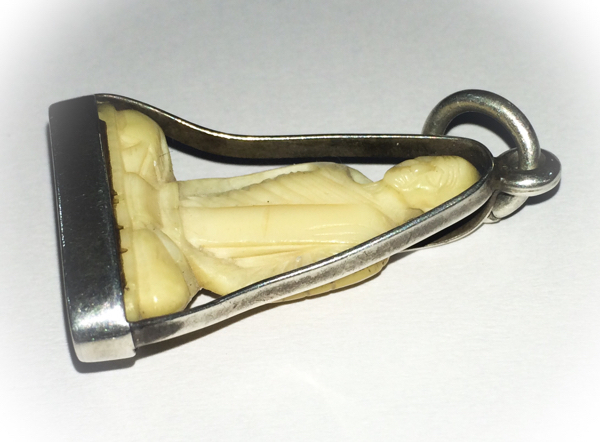 The hands are precisely accurate, as are the facial details, the neck and ears. 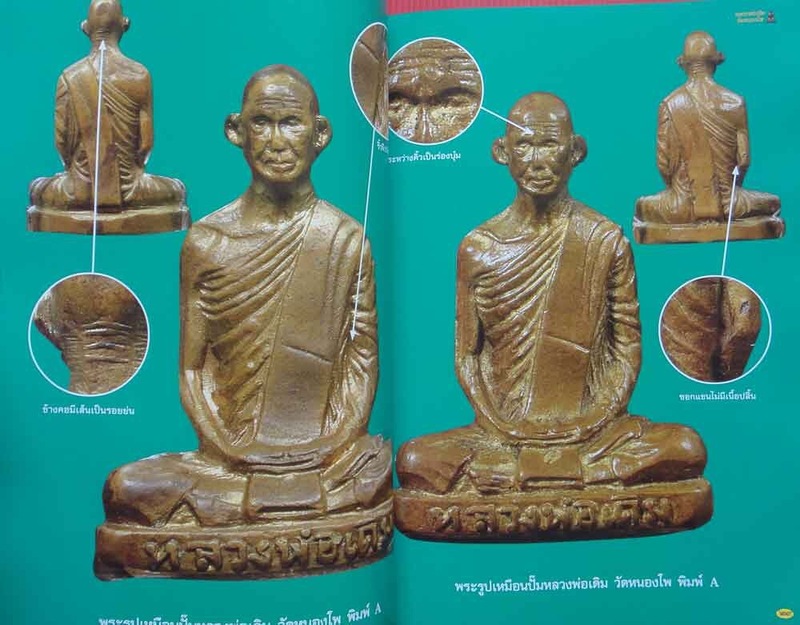 A true Master Craftsman must have been the Artisan behind this carving, for which reason it can only be considered to have been made especially for individual empowerment by Luang Por Derm. 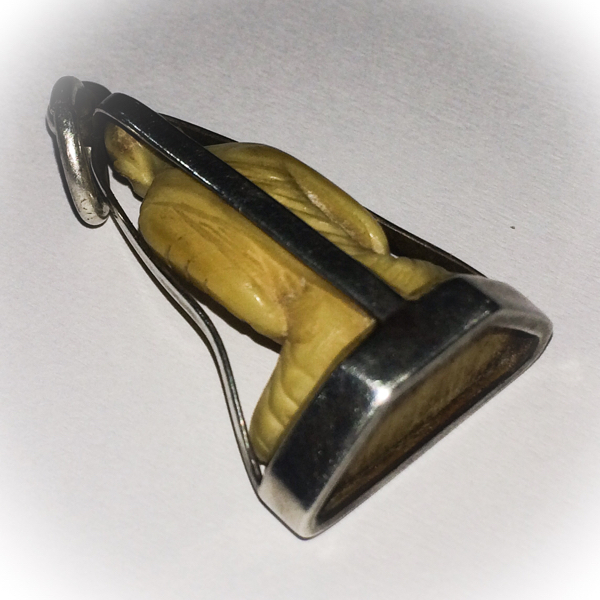 This is the stuff that legends are made of, and which you can allow to grace your necks with the knowledge that you will find it impossible to find somebody else with this same amulet, for this, is one amulet, that has no replica available. 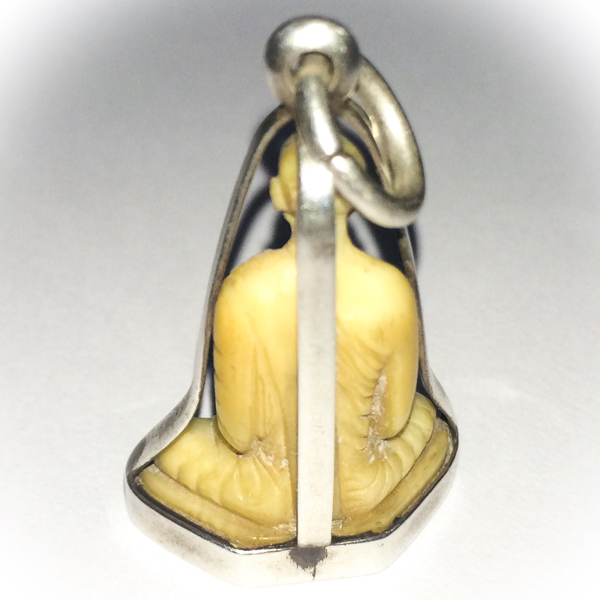 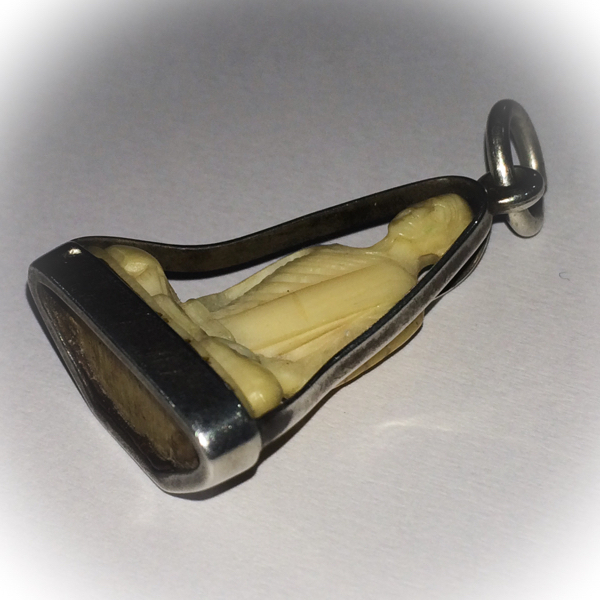 One of a kind, and one of the most Classic Pim Niyom Amulets of All. 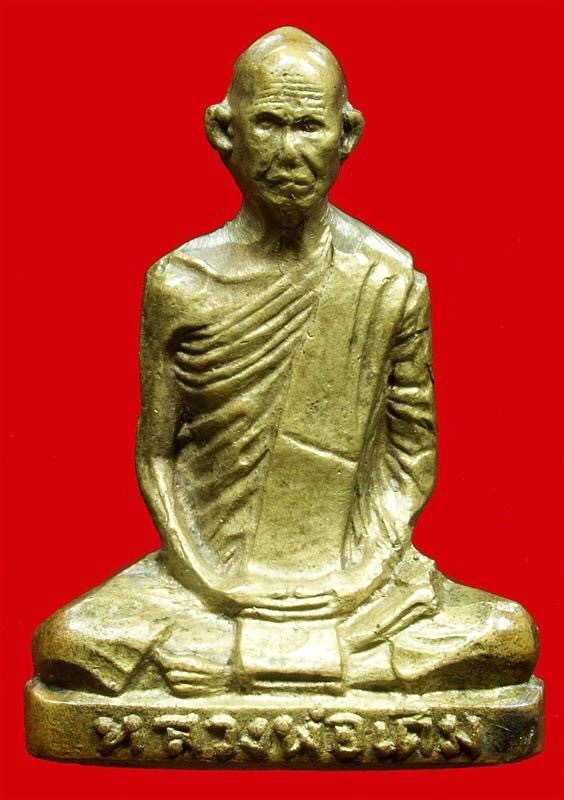 Roop Lor Luang Por Derm is now reaching above the Ten Thousand Dollar Price Range for a Pim A Niyom. 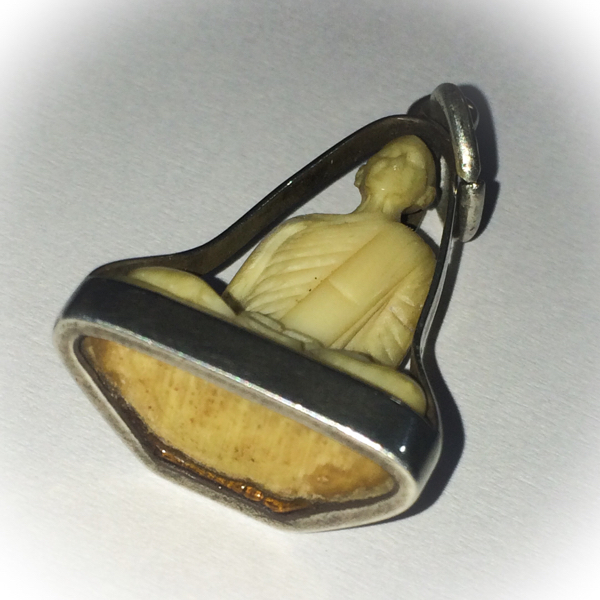 Below, you can enjoy some video footage of this Pim Niyom Master-Class Amulet.